This volume takes you from then end of V. 6 up to the postures known as 'Fist Under Elbow". However, this volume also contains useful information on how to gain REAL power using the little known Taijiquan way of 'Stone Hands Form'. It doesn't matter if your opponent is 6'8" tall and 300 lbs, you can defeat him using the 'Stone Hands Power'. 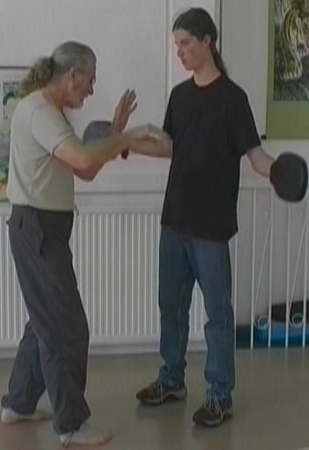 Also included is the 7th 'Silk reeling Fa-Jing' training method using punching mitts.